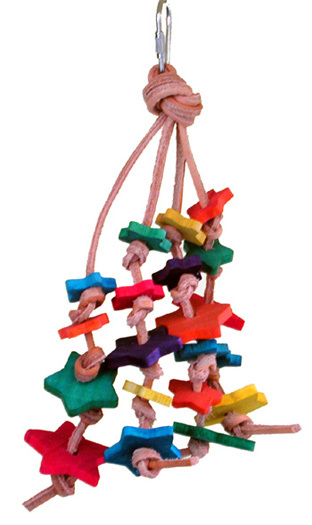 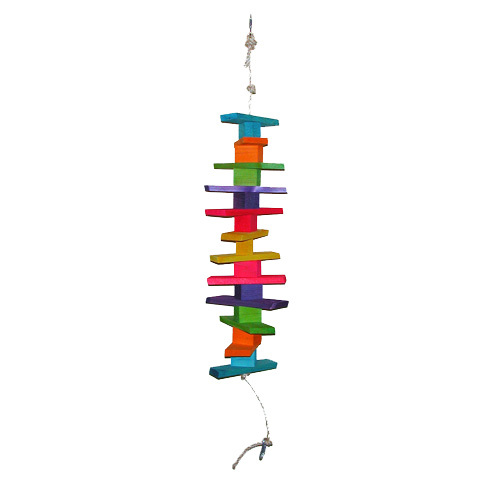 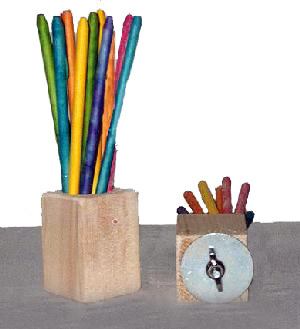 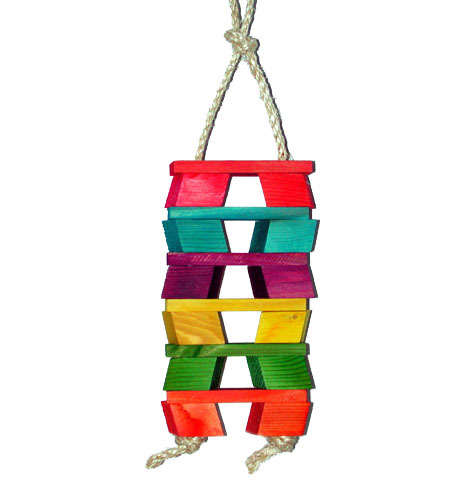 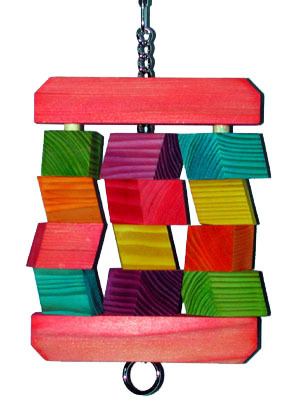 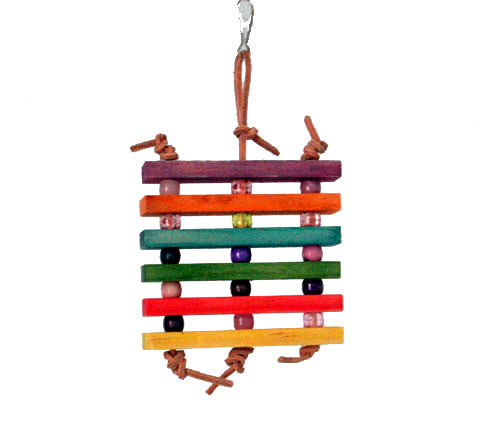 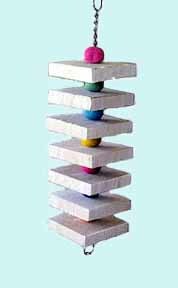 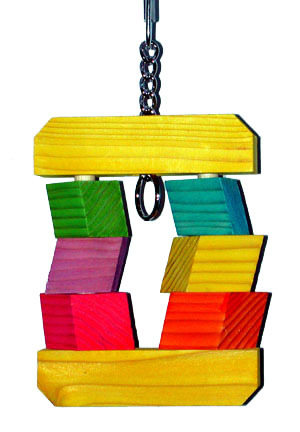 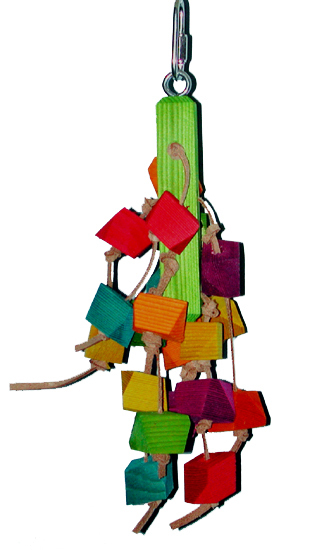 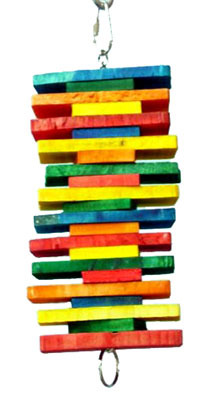 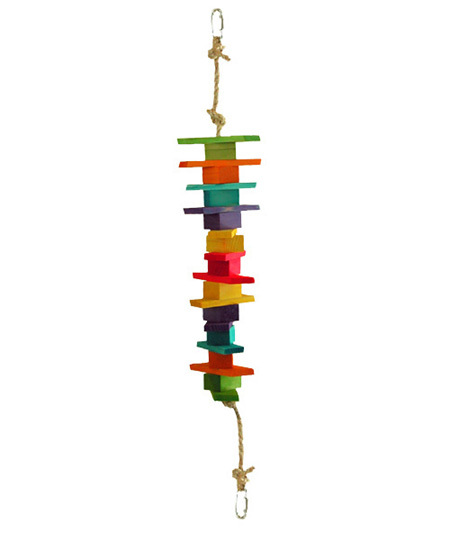 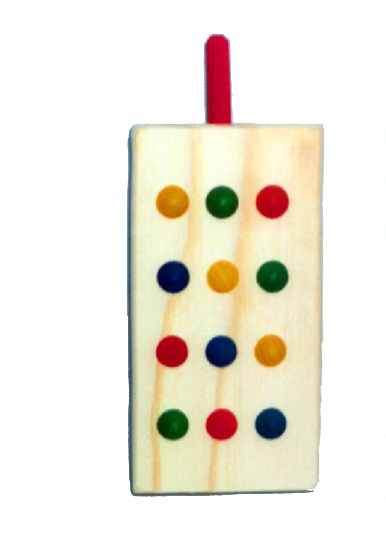 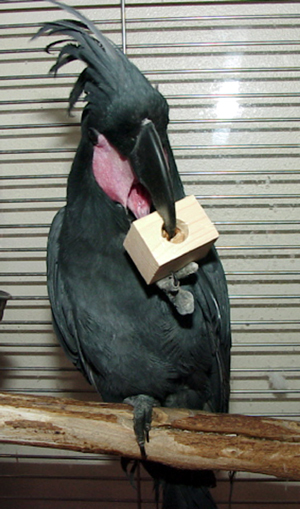 For those parrots who love soft wood, seven square balsa slices, separated by colorful hardwood balls and hung on a nickel plated welded chain. 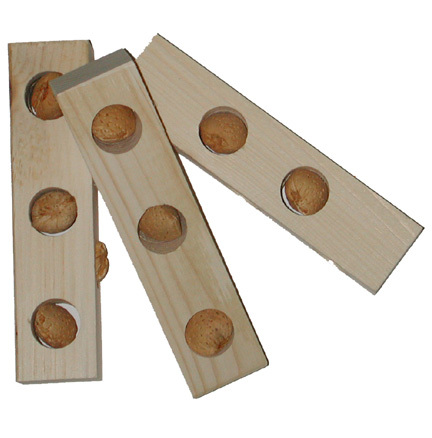 Mini are 1" square slices,6", and medium are 2" square slices, 10"
New, easy to chew balsa discs for our balsa buddy loving friend. 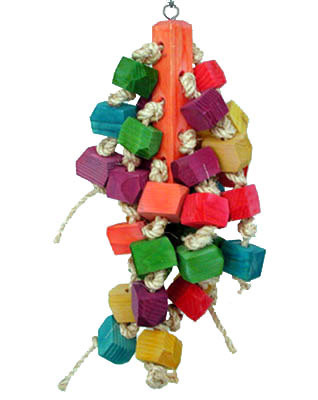 Not quite as cute, but the same chewy fun for your bird. 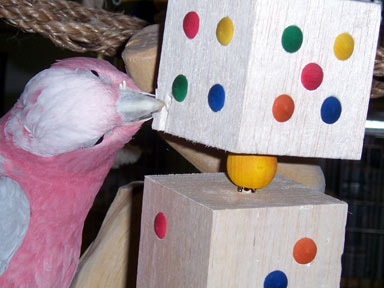 Drilled with lots of holes to keep hanging up any pieces chewed off. 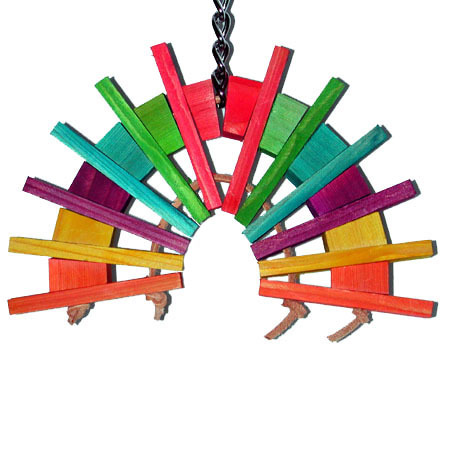 Set of three with leather to hang.